Expo 2010 Counterfeits: The Walls Have Been Breached! The superlatives attached to Expo 2010 – the Shanghai World’s Fair – are various and numerous: it is the biggest Expo site, with the most countries participating, and – guaranteed – the best attendance, in the history of the Expo movement. Less discussed, but just as notable, is the fact that Expo 2010 is the most secure Expo in history, as well. Or, at a minimum, it sure looks secure: fences and soldiers surround the site, attendees are required to subject themselves to metal detectors and their bags to x-rays. The situation is often so heavy-handed that staff at several pavilions have taken to calling this Expo, the Gulag Expo (riffing, of course, on Aleksandr Solzhenitsyn’s Gulag Archipelago). 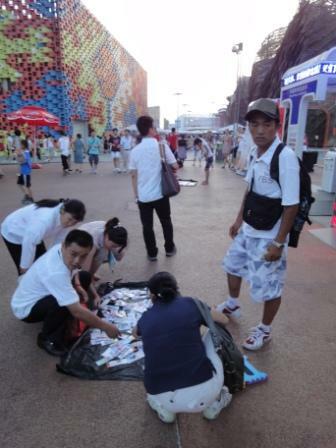 So it came as no small surprise to me when, last night, while I was strolling through the busiest part of the Expo (in front of the Spanish pavilion), I came across a tout selling counterfeit Expo 2010 key chains and other knick-knacks to enthusiastic Expo attendees. Allow me to put this in perspective: three touts selling counterfeit Expo goods at Expo is akin to three touts selling counterfeit Mickey Mouse key-chains in the heart of Disney World – a Disney World rung by fences and guarded by thousands of national guard members, police, and private security guards. And I’m not the only blogger to notice this phenomenon: DeluxZilla, apparently, had it ten days ago. He suggests that the touts are getting the goods into the park by having accomplices toss them over fences. I suppose that’s a possibility. But I think the more likely explanation is that somebody – I don’t know who – has good reason (I’m putting this delicately) to ignore the situation. In any case, let this serve as a new datapoint in the ongoing discussion of whether China can, or even wants to, enforce intellectual property laws. After all, if not at Expo, where? 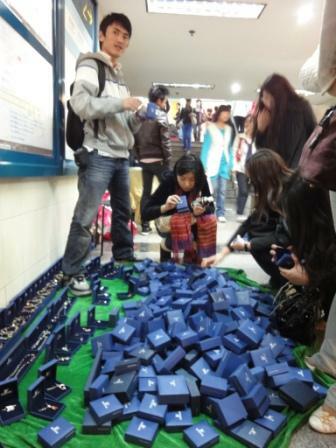 I was passing through the Jing’an Temple metro station late this afternoon when I came across a frenzy of young women crouched down and clawing at something – a something that turned out to be boxes and boxes of fake Swarovski jewelry (note: my camera served to scatter many of the customers). See the copied material, here. 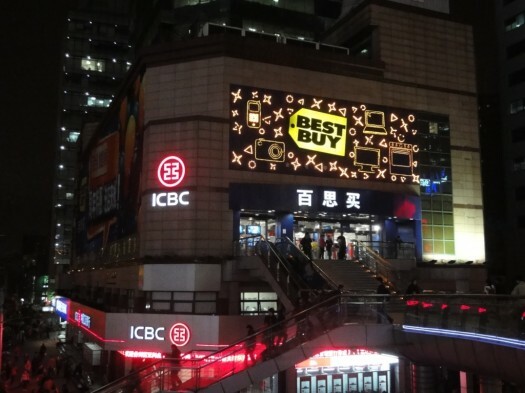 What constitutes a Best Buy? 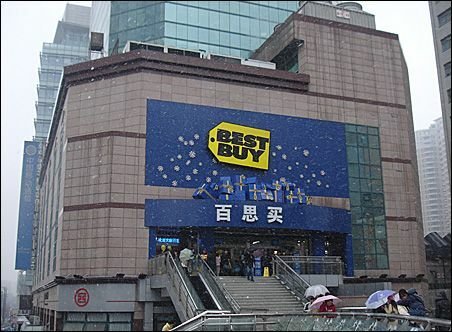 This afternoon, for the first time in months, I stopped by the Best Buy in Xujiahui (which happens to be the first Best Buy in China). And, while riding an escalator to the second floor, I saw something unexpected: roughly ten racks of CDs and DVDs. Real ones, not pirated ones. And they seem to have turned up since my last visit in, I think, January. As fans of American retail surely know, Best Buy has seriously reduced the volume of floorspace devoted to CDs and DVDs in its US stores. At one time, I think, CDs must have taken up more space than any other single item in the average Best Buy. But today, they’re hard to find, downsized by itunes and piracy. The Fox News All Pirate Review. This morning, a brief moment of culture shock when I read that Fox News’s Roger Friedman was fired for downloading, and reviewing, a copy of the yet-to-be-released summer blockbuster, Wolverine. If my American readers don’t feel similar shock at this relatively minor news, I suspect that – unlike me – they haven’t spent most of the decade in a country, and an expatriate media environment, where media piracy is socially acceptable. Just how acceptable? Well, for as long as I can remember, most of the English-language expatriate magazines in China have included reviews of the pirate DVDs widely available here. For example, the April 2-15 issue of City Weekend (a publication for which I’ve freelanced in the past) includes a sidebar column named “STREET DVDS – The best discs from the streets of Shanghai” with reviews of Revolutionary Road, Defiance, and Watchmen. City Weekend is no fly-by-night outfit, either: owned by Swiss publishing conglomerate Ringier, it claims qualified circulation of 95,000. So let this particular incident, and the astonishment which I suspect it engenders in other expatriates (not to mention, China’s vast and enthusiastic pirated film base), serve as an interesting marker for Hollywood as it assesses China’s potential for media priced as if it’s being sold in Manhattan (I’ve written about this topic, elsewhere). And, in solidarity with Roger Friedman (who, from my reading, sounds like a real piece of work), I’ve just gone downstairs to buy a copy of Wolverine, and I’ll offer my review in coming days. 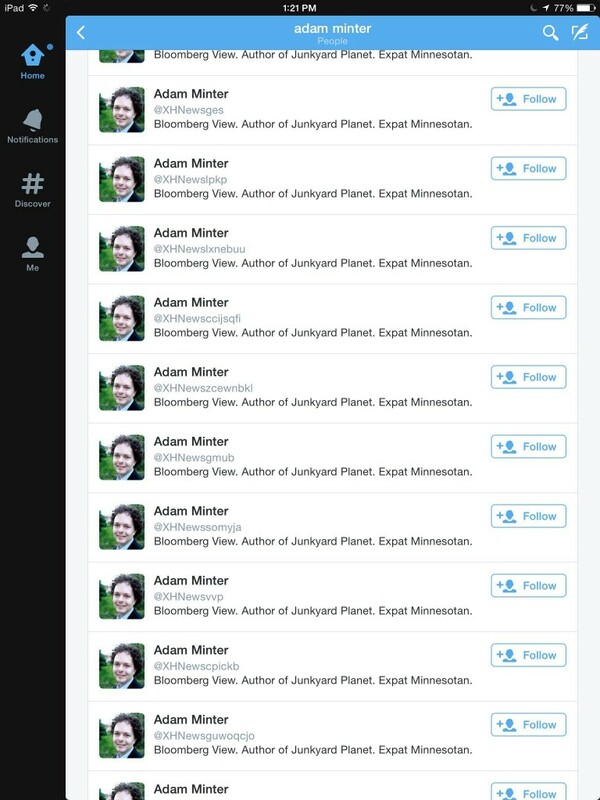 Take that, Rupert Murdoch! And if that wasn’t clear enough: for the record, I find nothing wrong with reviewing pirated DVDs.